The California Storm Basketball Club was founded in 1997 and since 1998 has been one of just 32 elite Nike-sponsored club basketball programs in the United States. The California Storm Basketball Club is a premier youth basketball program focusing on teaching young athletes, who possess a passion for the game and a strong desire to develop and improve their fundamental basketball skills. California Storm is one of the most respected and most recognizable organizations in the nation. Our premier basketball player development program is unmatched in offering year-round training. California Storm offers a variety of athletic training programs for those who are serious about taking their talents to the next level. We are focused on proper decision making in game like situations, individual offensive and defensive skills development, strength, speed, and agility training. We prepare our young athletes to compete at their highest level by teaching them skills that are integral to properly transition to collegiate and professional levels. California Storm coaches and administrators are well respected by college coaches and have developed relationships with coaches from virtually every major NCAA Division I University and college in the nation. Storm coaches work tirelessly with and for you to find its members the best collegiate opportunity possible. Weekend and Weekly practices, Offensive Skills, Shooting Academy, Soft Sand Speed, Agility & Strength training programs are offered year round. During the High School travel season and prior to the NCAA viewing period events, Cal Storm members participate in a series of mini camps and weeklong pro-style training camps. Training Camps ensures player and team development, while team-building activities enhance the bonding experience that has fortified our reputation as a STORM FAMILY! California Storm maintains the highest standards of integrity for our staff members. Our criteria or selection process for choosing coaches is evident in all of our coaches' appearance, demeanor, and interaction with your child. All Storm coaches are experienced, knowledgeable professionals who have proven ability to teach and develop young athletes. Throughout the training process each athlete will be encouraged, valued and respected. Their welfare and success will always be our primary concern. Nike EYBL Nationals is recognized as the most exclusive and competitive tournament in the United States. 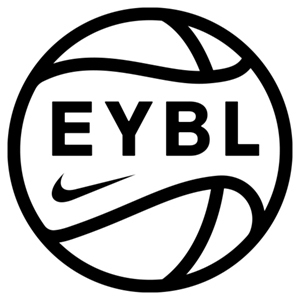 Only 32 Nike sponsored programs compete in the Nike EYBL Circuit. During the NCAA Viewing period, California Storm Team Taurasi will travel to Hampton, Va., Louisville, Ky. and Chicago Il. to battle against the nationals premiere Nike 17U programs. The Stage is set for the EYBL National Champion to be crowned. We invite you to join us! The Nike EYBL Nationals features 32 of the nation's premier 16U teams, competing in front of hundreds of college recruiters, scouts and evaluators. California Storm 16U EYBL will represents our program in Nike's most prestigious events. In the Spring and Summer Nike EYBL events will be held in Hampton, VA, Indianapolis, IN Louisville, Kentucky and Chicago, Illinois. The Nike EYBL Boo Williams Invitational (Hampton. VA) is a staple of the NCAA-Certified spring viewing period. It gives new up-and-comers a chance to test their game against the best and brightest at the grassroots level of girls' high school basketball. All 32 EYBL Nike sponsored teams battle for supremacy at the Boo Williams Sports Complex in Hampton, Virginia. Nike Teams will challenge each other to become the Best! 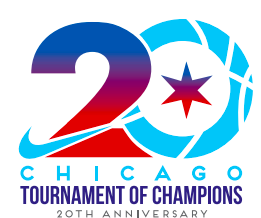 The NIKE Tournament of Champions (July 10-12, 2019 Chicago, IL) is universally considered the most prestigious girls’ basketball event in the world. Occupying almost one million square feet inside of Chicago’s McCormick Place, the 2018 tournament will hosted 784 teams and more than 10,000 athletes and coaches from all 50 United States and every Canadian province. This made it the largest single venue basketball event in the history of men’s or women’s basketball. The Jr. NBA Global Championship is a first-of-its-kind global youth basketball tournament for the top 14U teams from around the world. The tournament will feature boys and girls divisions, each comprised of 16 regional champions (eight U.S. teams and eight international teams) that will compete in the championship in August at ESPN Wide World of Sports Complex at Walt Disney World® Resort near Orlando. The USA Basketball 2019 U.S. Open Basketball Championships allow youth the opportunity to compete under the standards and guidelines set forth by the National Governing Body. Top finishers at approved qualifying tournaments around the country will earn official bids to participate in the championship events in Indianapolis, Indiana.